We all love to travel: when you travel you break the usual routine, you are distracted from your daily obligations while you relax and discover the world, its beauties, its cultures. However, there is a factor that often prevents us from the idea of ​​booking and planning a trip: the economic factor. In fact, many people think that if you do not have unlimited funds it is impossible to travel optimally and many parts of your journey would be sacrificed if you do not have money. In reality, it is not true! 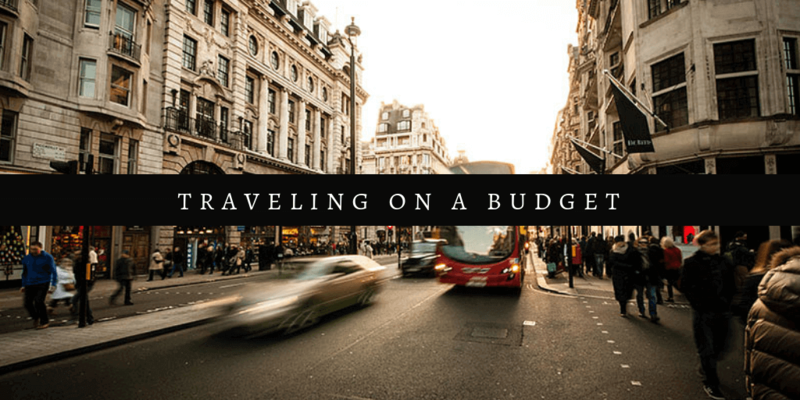 You can easily travel by returning to a budget without sacrificing anything of your stay outside, just know how to organize and know the main guidelines for traveling on a budget. Are you curious to know more? Let's find out together how to travel on a budget. Airlines and hotels offer very remarkable discounts on dates out of high season. It is true that this may mean that the weather will not be what you see in the postcard photos. Instead, focus on the positive - going to Paris in winter means that you will not have to endure eternal queues for the Eiffel Tower. The satisfaction of traveling and enjoying distant lands, and all at an affordable cost, is something that is priceless. Compare flights and find the best options. Today it is easier than ever to get cheap tickets and compare the offers of several airlines. Fly Cheap Always is an incredible tool that allows us to do the search and helps us recommend what you think is best for your trip according to your dates, your itinerary and your budget as well. Once you have decided the destination, or have the dates you want to travel, the next thing is to play around with the search tool for a while on https://www.flycheapalways.com/. With Fly Cheap Always you can definitely travel all year round while enjoying the best rates and the best services. From hostels and hotels to bed and breakfasts there are many different places to stay for all budgets. Some may offer more comfort than others, but the accommodations are no longer a reason to leave our budget for lack of options. On Fly Cheap Always you have the chance to compare the best hotel rates and services as well as creating the perfect combination of countless, affordable, and convenient flights and hotel deals. In many destinations, locals travel mostly with public transport, which is not so difficult to find. Check Fly Cheap Always to manage the way to travel around during your stay. You can even decide to rent a bike and stroll around the city center like a local. If your itinerary is made up of many different locations, in order to create a wider road trip experience, renting a car is your best option, especially if you are traveling in groups or with your family. Once you know the destination you are going to, you can consult different travel guides and tourist pages of the city. For example, there are cities like New York that have taxis and trains, but if you organize and make a schedule, you can travel by train and it is quite economical. This way you don’t need to travel by taxi. This budget will always be estimated because sometimes there will be an opportunity to walk instead of taking transportation, or vice versa. Tip: We have travel guides and city itineraries and we are constantly adding more cities and travel guides. Please check our blog section and if you don't find then write to us and we will be happy to write one customized itinerary by our travel experts. Choose authentic and less touristy experiences. Sometimes we rely on travel guides proposing the same old touristic highlights and nothing more. When you travel you should definitely go for the most authentic side of the culture surrounding the destination you are visiting to fully immerse yourself and make the most of your trip. Ask the locals about hidden gems, best spots to eat foods traditionally linked to the place, buy fewer magnets as souvenirs and buy more handcrafted items to both support local economy and bring a memorable authentic piece of your trip back home with you! One of the pleasures of traveling is to enjoy the experience with friends. If you all agree, group bookings are much cheaper, especially in flights and vacation home rentals. If you choose to cook for yourselves instead of going to restaurants, the savings can still be used. Whether it's a beach vacation or a ski trip, traveling in a group has many advantages and is very fun. The intrepid backpacker may react with some rejection of the concept of an all-inclusive trip. It is always worth remembering that offers of this type present considerable discounts to varied destinations. If your horizons go beyond spending the day at the edge of the pool, you can use the hotel as a base to explore the surroundings and take advantage of the savings in lodging and food. Choose the tours, the attractions, and the main highlights in advance and you will have the chance to book your experiences while saving a lot of money as well! On Fly Cheap Always we rely on the top-rated travel agencies to provide the best services and the best prices for a trip to remember! We at FlyCheapAlways find you the cheapest flights, hotels, and car rentals by comparing prices across many networks and airlines.